Your romantic Greece honeymoon is one of the most memorable experiences of your life. Share your dreams with us, and we will deliver an impressive specially tailored itinerary for you and the love of your life. There is something utterly captivating about Greece and the Greek islands. The simple beauty, the sun kissed beaches, the mythology, the rich history, superb natural landscapes, and the dazzling light! Scroll down to view our Greece Honeymoon packages, and itineraries. They are flexible, so please do not hesitate to let us know if you want to make any changes. 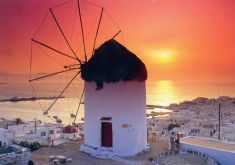 4 night Mykonos honeymoon dream vacation. 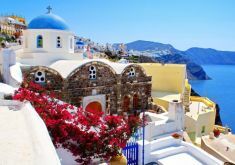 Romantic destinations in Greece for your Honeymoon vacations. 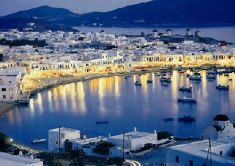 Live your romance on the beautiful Greek island of Mykonos. Daily departures April to October. The ultimate 5 day romantic Santorini honeymoon experience. Celebrate your special occasion in one of our exclusive Caldera resort hotels or villas. Daily departures January to December. A 7 night luxury honeymoon vacation in Greece. Discover vibrant and historical Athens, and romantic Santorini island. 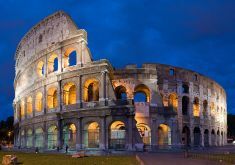 7 night Athens and romantic Santorini honeymoon vacation. Imagine amphiteatrical views of the famous Caldera, the volcano, whitewashed villages, the deep blue Aegean sea, and the mystical sunsets! Greek island honeymoon: 3 nights Santorini, 2 nights Mykonos, 2 nights Athens. Our 8 day Greece Honeymon vacation package includes 3 destinations. 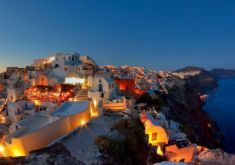 Vibrant Athens, cosmopolitan Mykonos, and romantic Santorini. 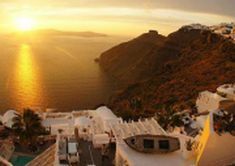 9 day Greece luxury honeymoon vacation package: Athens, and the beautiful islands of Mykonos and Santorini. 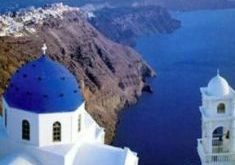 A 9 day Greek island honeymoon vacation package that includes 2 of the most romantic islands in Greece. 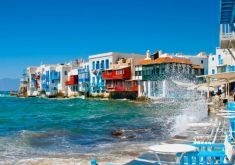 10 day all inclusive Greece honeymoon itinerary.